Its most ancient nucleus stands on a rocky spur overlooking the Adriatic Sea. Since 2008, it has the Blue Flag, recognition given by the Foundation for Environmental Education to the European coastal resorts that meet quality criteria related to parameters of bathing water and the service offered. Famous for the Caves and for the historical center. The caves testify to the presence of Man, since the Pleistocene or Glacial age: in Rípagnola the Grotta dei Ladroni and the Grotta del Guardiano, in Pozzo Vivo the Grotta dei Colombi. The sea caves, the Grotta Ardito, the Grotta delle Monache, the Grotta Stampagnata, the Grotta delle Rondinelle, already with their names refer to memories and legends. Many can be visited only with an unforgettable boat trip and some arrive just below the town and, often, merge with the cellars. 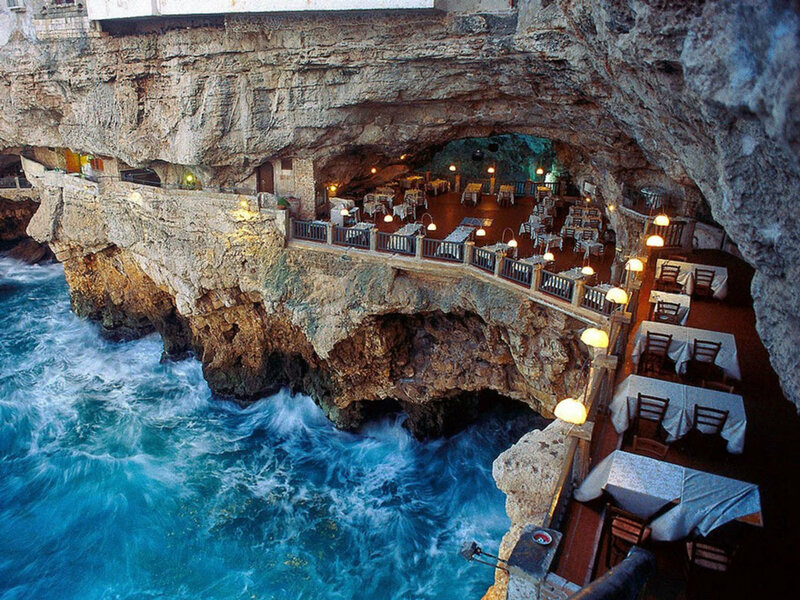 The most famous is undoubtedly the Grotta Palazzese, o nce called Grotta di Palazzo, or Grotta owned by the feudal lord.Visited over the centuries by people and travelers from all over, it is suggestive because of its restaurant that makes it a unique place world. 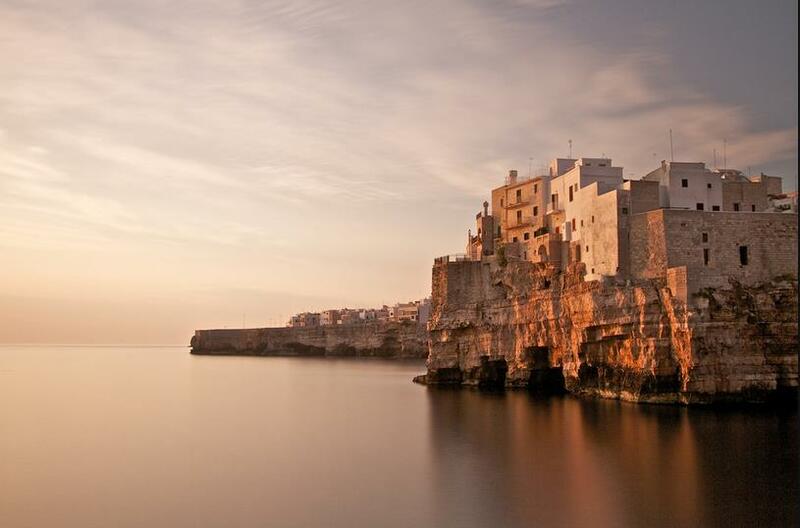 Polignano counts among its illustrious sons two authentic talents: Domenico Modugno, who from here began to FLY towards the world of notes and Pino Pascali who, with the innovative character of his research, was able to obtain a SEA of consensus in the visual arts at a national and international. 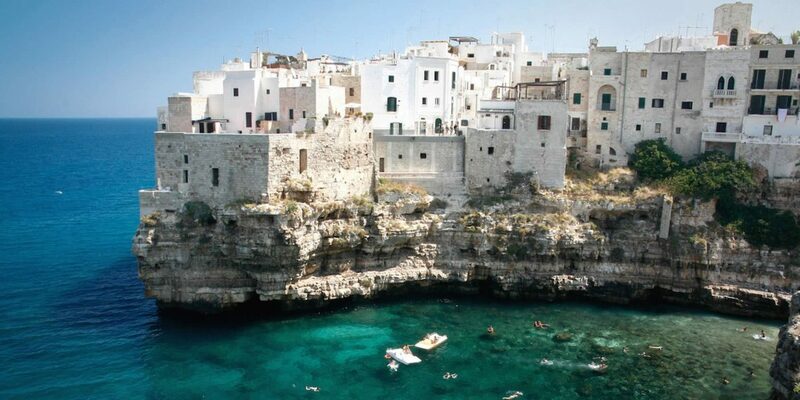 The cliff opens up into natural coves, including San Giovanni, San Vito, where the Abbey of San Vito rises (in the XI century) Cala Ponte – the new port – Cala Paguro, Cala Porto – the ancient port of the city – Cala Sala (Port’Alga) and Cala Incina, on the border with Monopoli.